It is the policy of the Food Lover’s Market Group to recruit suitable staff in a systematic and consistent manner. 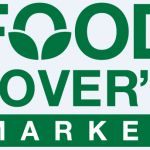 Food Lover’s Market will give external candidates the opportunity to apply for vacancies that occur within the Company only if there is no suitable internal candidate, which might qualify. We currently have the following vacancy and await applications from suitably qualified and experienced candidates. To provide our customers with a world class shopping experience which makes them feel special by delivering exceptional store standards, managing an efficient store, ensuring colleagues feel proud, valued and part of the Food Lover’s Market family.